Our range of products include bus body rubber profiles. We offer Bus Body Rubber Profiles for Bus Body Building Application. 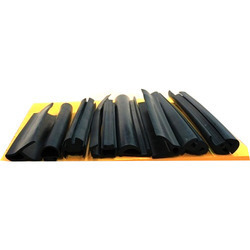 ORPL EPDM Rubber Profile for Buses are are designed is such a way that it does excellent job of sealing without getting affected by ambient temperatures, Climatic conditions, Vibrations. They are ozone resistant and hence do not develop cracks.